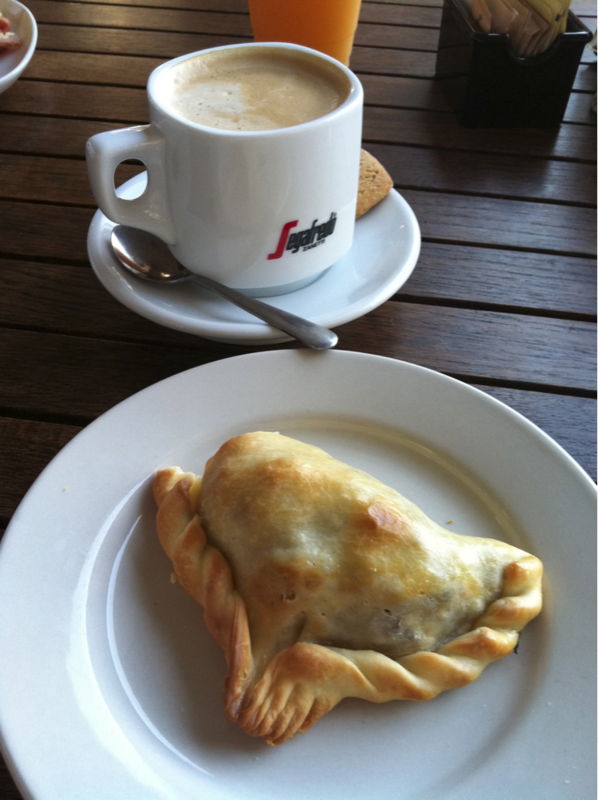 When in Miami, my favorite breakfast is an empanada and a Cafe con Leche. Recently, we stayed in Coral Gables. Our routine was to wake up, walk to Graziano’s Market on Galliano and eat breakfast sitting outside. I would leisurely sip on my cafe with steaming milk. Empanadas are baked turnovers filled with a variety of things. My favorite was the ham and cheese in a crescent shaped and the ham, cheese and tomato. The one picture is ground beef. Since these empanadas are Argentinean, they were baked, not fried with flaky, golden crust. It was the perfect way to start each morning.